Bakr Awa (35�‘14‘‘N, 45�‘26‘‘E) is situated about 70 kilometer southeast of Sulaimaniyah, near the city of Halabja at the Iraqi-Iranian border. It is the biggest mound in the southern part of the Plain of Shahrizor, with a nearly 40 m high citadel in the middle of a c. 800 � 600 m wide lower city. First soundings at the site were conducted by Ephraim Speiser in 1927, but extended excavations did not take place before 1960 and 1961 when Iraqi archaeologists of the Directorate General of Antiquities opened two trenches on the southwestern slope of the citadel and in the eastern lower city. After a break of half a century the work at Bakr Awa was resumed by a team of the University of Heidelberg in 2010. During the last three seasons investigations took place in five operation areas. Quickbird satellite image, November 10th, 2010. The site of Bakr Awa was settled for not less than five millennia. The last three seasons of excavation provided occupation layers dating from modern times through the Islamic period and Iron Age back to the early Bronze Age. A present-day village and the ruins of its 20th century AD predecessor represent the youngest phases of inhabitation. The strongest horizon developed during Islamic times, consisting of Ottoman, Middle Age and dominating Abbasid layers. 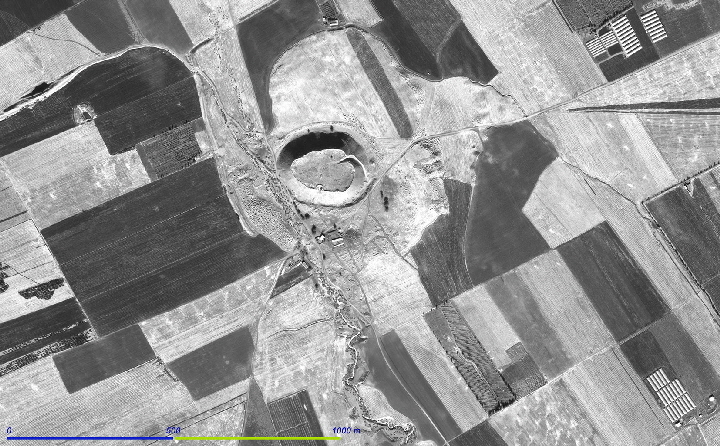 Even though historical sources prove a Sasanian occupation of the Shahrizor Plain, no stratigraphic layer at Bakr Awa can securely be attributed, just a few pottery sherds might date to this period. 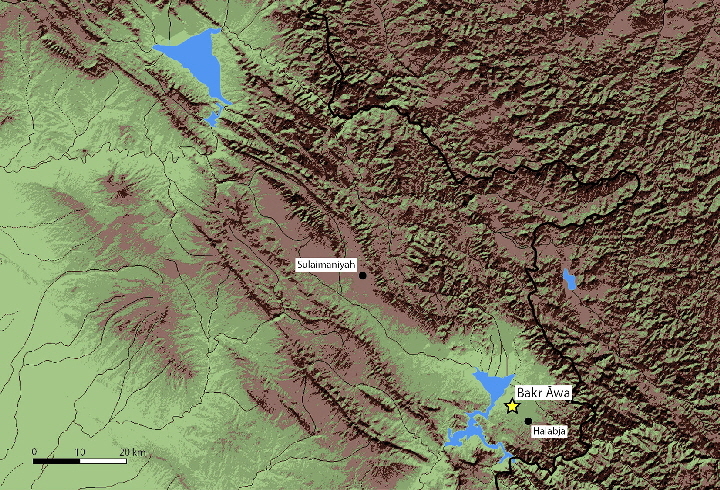 For the Iron Age two different settlement layers can be distinguished: A younger one with graves dating to the Achaemenid period and an older one with architectural remains of the Late Assyrian period. Contemporaneous Assyrian royal inscriptions mention the Shahrizor Plain as province of Mazamua/Zamua. Notably the pottery reveals characteristics of Urartian and Median shapes and fabrics. The Late Bronze Age layer provided mud brick architecture. Its finds and pottery show connections to the Hurrian North Mesopotamia as well as Kassite Babylonia. Remains of large private houses and two well-equipped radial vaulted brick tombs represent the Middle Bronze Age. During this period the site of Bakr Awa saw a time of prosperity and far-reaching contacts. Its material culture is also strongly influenced by northern and southern Mesopotamia. The Early Bronze Age horizon is characterized by stone foundations. A small sanctuary in the upper EBA layer dates to the end of the 3rd millennium BC, its architecture is consistent with the middle and northern Mesopotamian tradition, while the pottery shows clear Akkadian characteristics. 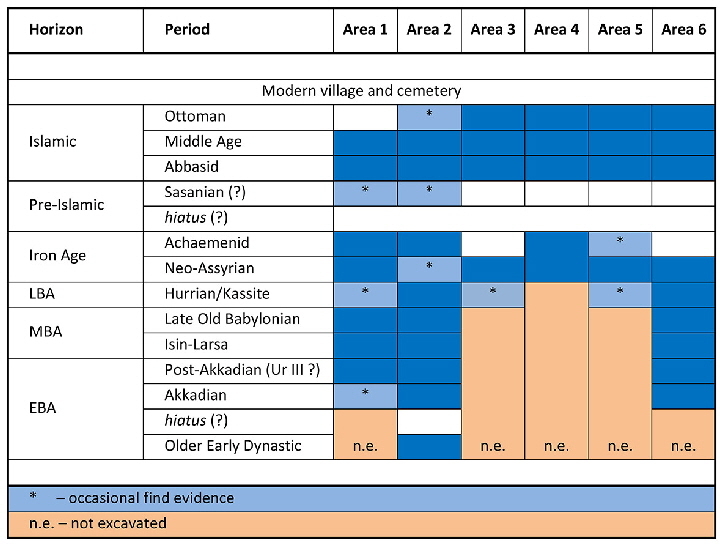 The deeper EBA layers date back to the older Early Dynastic and Jamdat Nasr period. From their context derives pottery painted like Scarlet Ware associated with beveled rim bowls. Stratigraphy of excavation areas BA-1 – 6. M. B. al-Husaini, The Excavations at Tel Bakr-Awa. Sumer 18, 1962: 140-164. U. B黵ger & P. A. Miglus, Neues aus dem Irak – Ausgrabungen in Bakr Āwa 2010. http://www.lisa.gerda-henkel-stiftung.de/content.php?nav_id=1513 (04.04.2011). T. Madhloum, The Excavations at Tell Bakr-Awa. Sumer 21, 1965: 75-88. L. Matou�, L’Almanach de Bakr-Awa. Sumer 17, 1961: 17-66. P. A. Miglus, U. B黵ger, M. Heil & F. M. Stępniowski, Ausgrabung in Bakr Āwa 2010. Zeitschrift f黵 Orient-Arch鋙logie 4, 2011: 136-174. P. A. Miglus, U. B黵ger, R. A. Fetner, S. M黨l & A. Sollee, Excavation at Bakr Awa 2010 and 2011. Iraq 75, 2013: 43-88. P. A. Miglus, About Bakr Awa, in: K. Kopanias & J. MacGinnis (ed. ), The Archaeology of the Kurdistan Region of Iraq and Adjacent Regions, Oxford 2016: 229 – 239. B. A. al-Soof, Uruk Pottery. Origin and Distribution (Baghdad 1985): 90. 183. 186 pl. III. E. Speiser, Southern Kurdistan in the Annals of Ashurnasirpal and Today. Annual of the American Schools of Oriental Research 8, 1926/27: 1-41.